Arts & Crafts Flowers NEW! B.A. 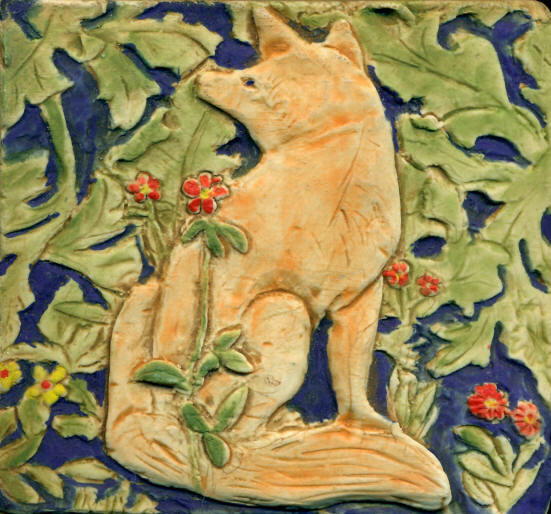 Schmidt Arts & Enterprises, Inc. located in Highland Park, Illinois, creates unique handmade porcelain tiles inspired by myth, nature and classic children's illustration. 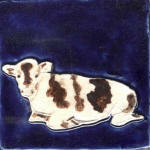 Every tile is handcrafted by its president and artist, Barbara Schmidt. The tiles can be used both indoors or out. They are perfect for a kitchen or bath, around a fireplace, on a fountain or in a garden wall. They mix beautifully with a wide variety of stone and commercially available field tiles. The tiles are available at dealers throughout the country. The tiles have been featured in Tile Magazine . In 2010 B.A. Schmidt Arts won the Coverings Select Award for best Artisan Tile. My tiles are now available gifts framed in beautiful quarter sawn oak frames.